Former Indian captain MS Dhoni is inarguably the most popular cricketers in the world. Fans love him for what he represents on and off the fields. 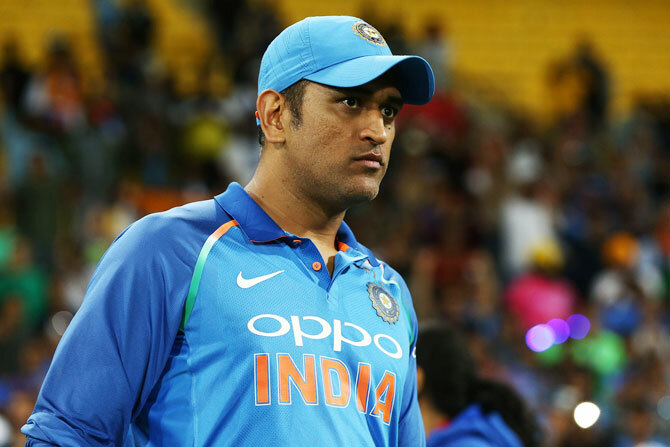 MSD has made us proud countless times but what he did yesterday during India Vs New Zealand third T20 match will make you love him even more. During the third and final T20 match between India and New Zealand, a fan came running on the field when India was fielding in the first innings. The fan came to touch Dhoni’s feet. This fan was also carrying India’s national flag when he ran towards Dhoni. When he went down to touch MSD’s feet, the flag touched the ground. As soon as MSD saw the flag touching the ground, he picked it up. The video of the same has gone viral on social media, where fans can’t keep calm. They are showering Dhoni with lots of love and praise for his patriotic gesture. This is not the first time a fan has breached the security in order to take MSD’s blessings. It has happened many times earlier in IPL and many international matches. Fans are once again showing their love towards former Indian Skipper for his sweet gesture. Check out some of the Tweets down below.